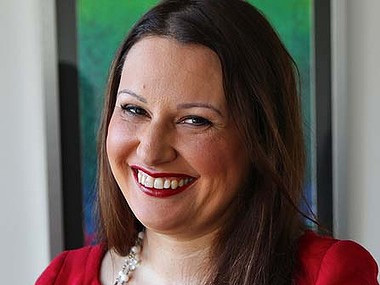 YOU probably knew that indigenous art was ''more than rocks and dots'', as academic Larissa Behrendt explains in her new book, Indigenous Australia for Dummies. But were you aware that the largest indigenous populations in Australia are urban? That indigenous Australians drink less than the general population? Or that an Aboriginal man named David Unaipon used the principles of boomerang flight to predict the invention of helicopters, to invent a centrifugal motor and to improve sheep-shearing equipment? ''All I can say is I wrote the book as an expert and I learnt things,'' says Professor Behrendt, who is the first Aboriginal graduate of Harvard Law School and the 2011 New South Wales Australian of the Year. Professor Behrendt says her new book, which will be launched in August and is already in some shops, took a tone that was ''light-hearted, not stern'' and was a ''good place to stick your toe in the water''. Rather than ''overwhelming readers with a particular point of view'' it presented different indigenous perspectives on issues such as should we have a treaty, is the intervention helping, how do we close the gap? ''This isn't the definitive answer to everything,'' she says. ''It's supposed to be a first port of call on any issue. 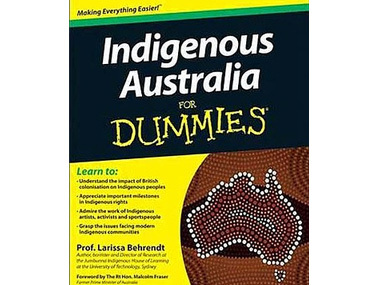 While living overseas, Professor Behrendt saw Indigenous Canada for Dummies and African Americans for Dummies. She says although Australians probably know more about Aboriginal culture than Americans know about their first nations, the US and Canada gave indigenous people a ''much higher legal status''. She says as she researched the book over a lifetime and intensively for 18 months, a pattern began to emerge: the more involvement indigenous people had in solving their own problems, the more likely the solutions were to succeed. Professor Behrendt says Australia needs to be ''capable as a country of really talking about the most difficult issues in a constructive way''.